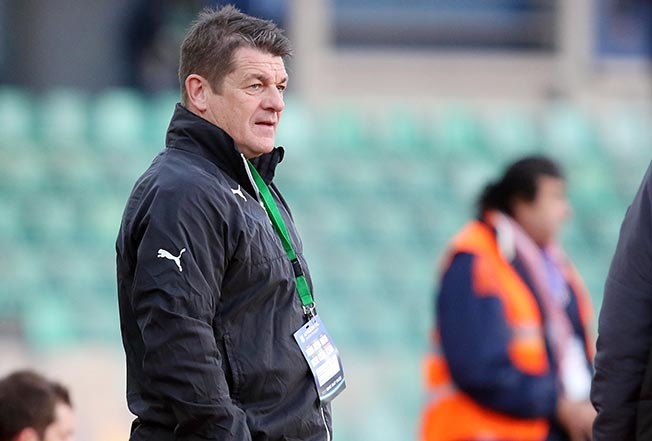 Omonia coach John Carver has been fired by the Nicosia giants, according to widespread media reports. The Englishman, appointed in June 2016, was already under pressure after falling a massive 12 points behind leaders and arch-rivals Apoel in the Cyprus championship this season. The last straw was Wednesday’s humiliating exit from the Cyprus Cup quarter-finals against Apollon, where the referee abandoned the game following crowd trouble from Greens fans, who threw firecrackers and flares onto the pitch and called for Carver’s dismissal. Former Omonia player Akis Ioakim is expected to take charge of the team against AEL this weekend. Omonoia giant hire Apoel’s president to succeed!! Mushroom Man!! Nicosia giants??? Pull the other one! He’s most probably best out of it all….